With Labor Day Weekend behind us, we'll soon be thinking about spending less time outdoors and more time indoors, and that may mean thinking about some new furniture. And if you’re looking for deals, one key piece of advice from experts: Be sure to spend some time shopping outside of traditional new furniture outlets. Such as, for example, the Cort Furniture Rental store in Central Square, Cambridge, Mass. Millions of people recognize the Cort name as a giant in furniture rental, but it turns out, they can also boast they are the world's biggest seller of top-shelf used furniture, high end pieces that have been retired from the rental fleet. “Cort purchases a huge amount of furniture. After we've rented that furniture for a while, it ends up in our showroom,’’ said Jim Meagher, Cort’s Boston district general manager. He oversees furniture rentals throughout Rhode Island, Massachusetts, and New Hampshire from their distribution center in Norwood, Mass. “We have a fully-functional service shop in our distribution center, so every piece of furniture that comes back gets sanitized, gets treated, gets cleaned’’ – and then sold at huge discounts. “We typically save 70 percent off standard retail’’ prices for equivalent furniture, Meagher said. Consumers buying pieces enjoy two levels of protection, “The customer actually gets a 14-day, no-questions-asked, money-back guarantee’’ if they regret buying anything from the showroom, and then beyond that, a 90-day warranty for actual defects, Meagher said. Cort’s one example of what Boxford, Mass., design expert Linda Holt of Linda Holt Interiors encourages for furniture bargain hunters: shop outside traditional retail stores. 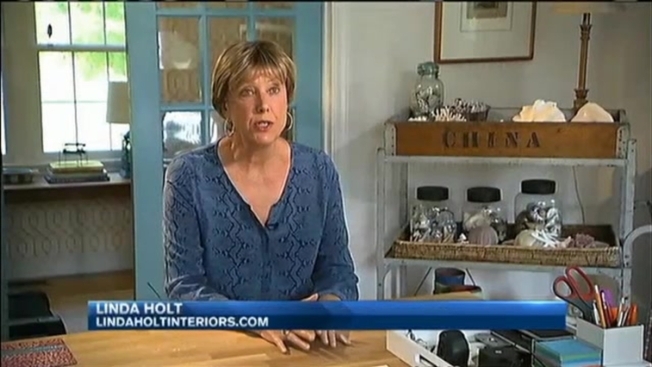 Besides consignment stores in wealthy towns and charity shops like Habitat For Humanity’s ReStore outlets, Holt is a big fan of buying used pieces from “home stagers’’ – companies that help Realtors and real-estate agents sell empty or shabbily furnished homes by bringing in attractive furniture and design elements. “The best-kept secret is: Call large staging companies. they have a huge inventory of furniture and everything that they bring in has to be in perfect condition, especially when they're staging multi-million-dollar homes,’’ Holt said. “Usually, once or twice a year, they have these giant warehouse sales, where they're selling things for literally pennies on the dollar.’’ Often they are pieces with extremely minor nicks or stains that staging companies are more than willing to sell dirt-cheap because they’ve already made several times over what they spent on them through rental fees. “My tip is: When you find out when the sale is go armed with a truck, and cash, and get there early,’’ Holt said. That willingness to make a quick decision when you do see a great deal highlights what may be the key to true savings on furniture: “Plan the whole thing out first, so everything works,’’ Holt said. Otherwise, that unplanned $100 steal of a deal may not turn out to be so real. What Holt has seen clients and friends do all too often is shop piecemeal and by impulse: “First they'll go buy the sofa, and then: OK, now I need to find the chairs that go with the sofa. Then they'll be looking for the chairs,’’ Holt said, “and then: This really doesn't go with the rug, so now we'll get the new rug.’’ And before you know it, all the money you thought you saved on the super-cheap sofa has been spent, and then some, rearranging the rest of the room to accommodate it. Stick to a plan, but shop off the beaten path, and you can live large, in style, for less.